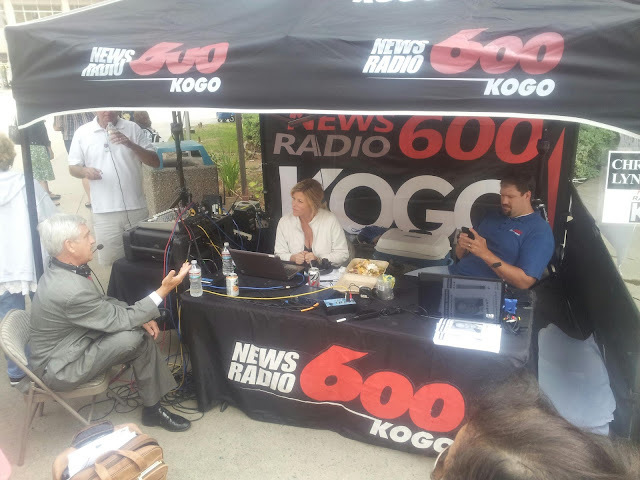 KOGO's Chris Merrill and Lynda Martin set up shop at a rally to remove embattled Mayor Bob Filner. SanDiegoRadio was there. It got heated at times and I will try to have more details AND possibly audio a little later. The Mountain gets power increase from the FCC. Can FM 94/9 Listeners Survive the Zombies? CBS Radio Sale Looming Soon?